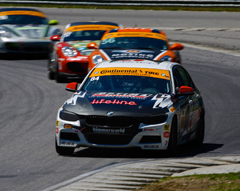 With five races down and five to go in this year’s IMSA Continental Tire SportsCar Challenge series, the BimmerWorld Racing team is poised to continue their ‘never say never’ and ‘battle to the finish’ racing philosophy as they prepare for this weekend’s Lime Rock Park 120 two-hour race, July 21. Nick Galante of Greenfield, Mass. and Devin Jones of Mooresville, N.C., drivers of the No. 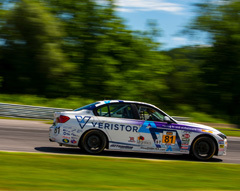 81 Veristor/Legistics BMW 328i (F30 chassis), come into the halfway point of the season leading the Street Tuner (ST) class points standings with 158 points. This year’s results include two victories, one second, one third, and a single fifth-place finish. Driving clean races and staying at the top of the leaderboard and on the podium nearly every race has certainly aided in their points advancement in the popular class. The Grand Sport (GS) duo of team owner/driver James Clay of Blacksburg, Va. and Tyler Cooke of Fort Lauderdale, Fla., co-drivers of the No. 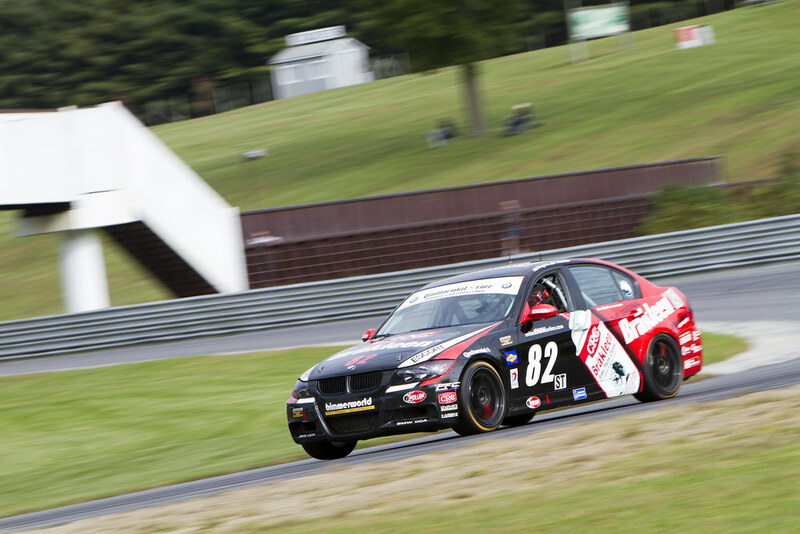 82 OPTIMA Batteries BMW M4 GT4, have progressed their class point standings to second place, just six points out of the lead at the halfway mark of the season. 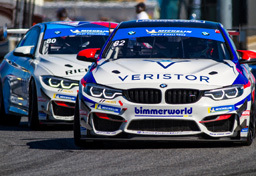 With two second-place finishes and one third-place GS class finish in five events, the BimmerWorld drivers have been a consistent challenger in a hugely competitive class and series. 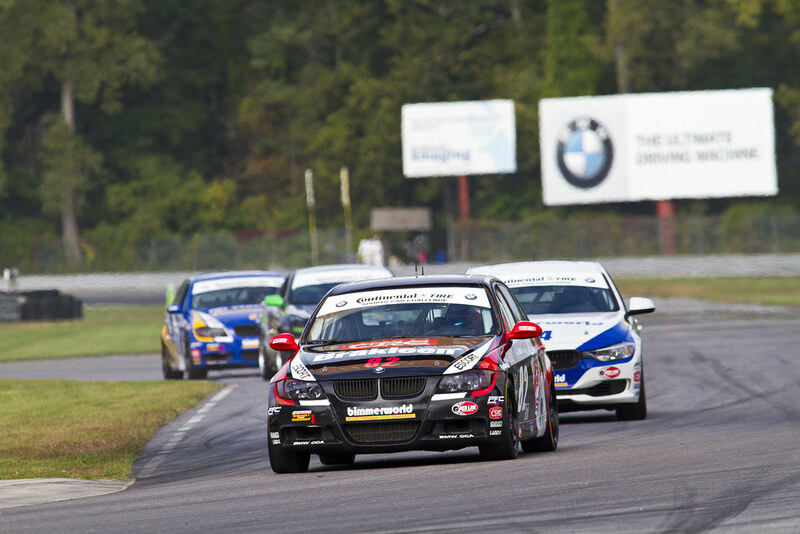 All four BimmerWorld drivers love the short, tight and tough 1.478-miles and 7-turn Lime Rock Park circuit in Lakeville, Conn., nestled in the foothills of the Berkshire Mountains, but none take the fun circuit for granted. Sometimes referred to as a ‘bullring,’ the historic track is over 60 years old and has featured races of some of racing’s royalty: Mark Donohue, Dan Gurney, Stirling Moss, Sam Posey, Paul Newman, Bob Sharp, and Mario Andretti, to name a few. 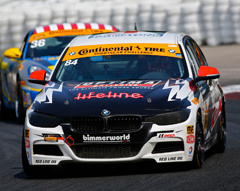 BimmerWorld Racing looks to add their name to the Lime Rock Park history stats with another victory this weekend. Practice begins on Friday, July 19 with three sessions: 10:05-11:05 a.m., 12:45-1:30 p.m. and 3:15-3:30 p.m. and qualifying will be held later on Friday afternoon. The ST and TCR class cars qualify 3:40-3:55 p.m. and the GS run from 4:00-4:15 p.m.
Live video coverage and live timing and scoring of the race will be offered on imsa.tv and imsa.com. The race will also air on FOX Sports 1 on Sunday, July 29 from 3:00-5:00 p.m. All times are Eastern. You and Tyler are currently tied for second in the GS points after some hard-fought races this season. Give us an overview of this year so far. LRP is the shortest track on the series’ schedule at 1.47-miles and 7-turns. How do you like the short, tight circuit, and what’s your favorite section? Last year you qualified fourth at LRP and you and Tyler finished third. Do you feel this is a good circuit for you and your 2018 BMW M4 GT4? You’re in the thick of the summer racing season. How do you relax in between races? You and James are currently tied for second in the GS points after some hard-fought races this season. What’s been your favorite race so far this season and why? How difficult is it to pass at LRP? How much will a good qualifying position play into that? What’s been your best result at Lime Rock Park during your career and share your thoughts about the circuit. Faster cars don’t want to get stuck behind the slower cars and we sometimes see some risky moves and subsequent cautions. How much do you think cautions will play into the race results? What do you like to do outside of the track when you’re up in Connecticut? 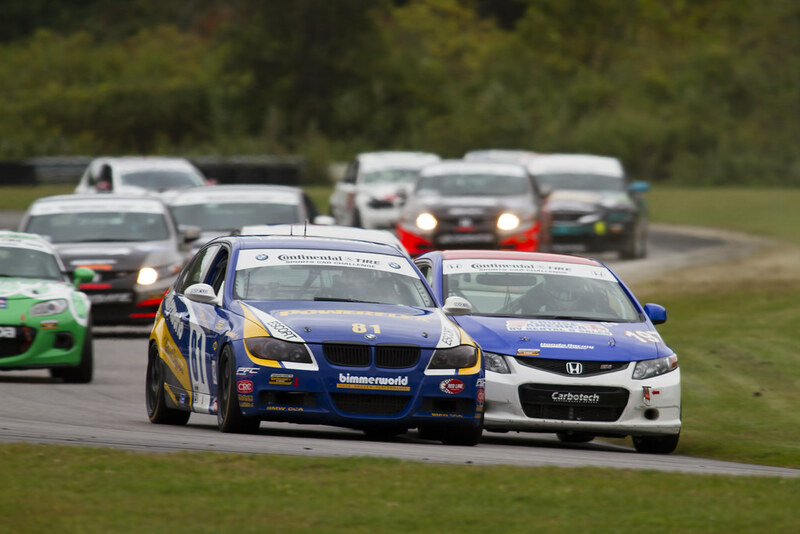 You and Devin jumped to the top of the ST points standing after your second victory at the last race at Mosport. What was that feeling like? What was your best result at Lime Rock, in what series and car? 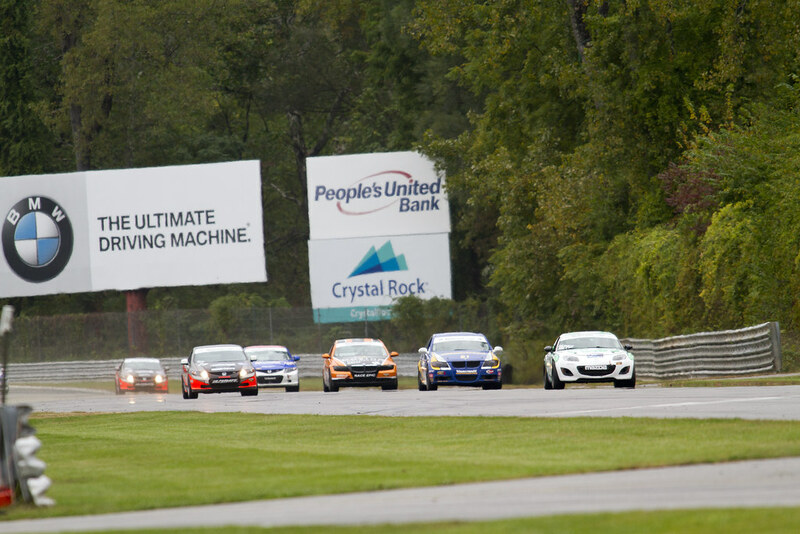 Lime Rock Park is a natural-terrain racing venue. How much of a difference does that make compared to a truly man-made circuit in your eyes? Do you ever get a chance to interact with the fans at Lime Rock? What are they like? 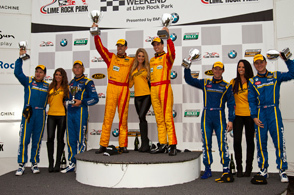 You and Nick jumped to the top of the ST points standing after your second victory at the last race at Mosport. Share your thoughts about your successes so far this year. How do you like the short, tight Lime Rock circuit? How much more difficult will passing be on the small 1.47-mile, 7-turn circuit than some of the other tracks on which you’ve competed this year? 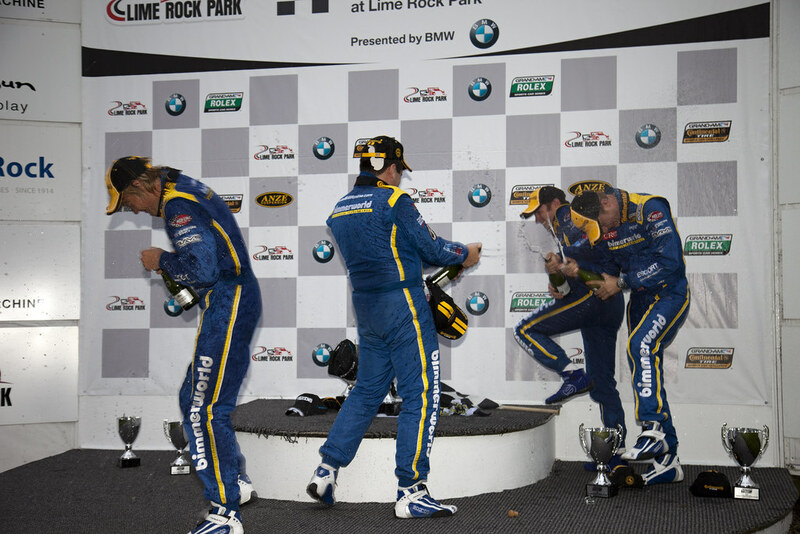 Tell us about the best result in your career at Lime Rock. Do you ever get your bike out during the Lime Rock race weekend and go cycling in the Berkshires or elsewhere? 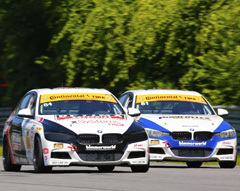 Gearing is on the minds of the BimmerWorld Racing crew as it prepares its pair of turbocharged BMW F30 328i cars for Saturday’s IMSA Continental Tire SportsCar Challenge (ICTSC) race at Lime Rock Park in Lakeville, Conn.
Clay and Tyler Cooke will share the team’s No. 84 OPTIMA Batteries BMW 328i while its No. 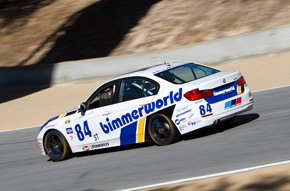 81 BimmerWorld BMW 328i will be driven by Jerry Kaufman and Kyle Tilley. The ICTSC will use Lime Rock’s 1.53-mile, seven-turn road course without the chicane. It’s the shortest course on the schedule, so qualifying well will be critical. Clay has managed to put the No. 84 on the pole twice this season, including the most recent race, so the BimmerWorld F30s have the pace to make it happen. 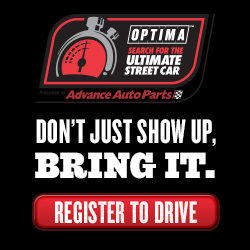 The 27 Street Tuner cars entered in the 35-car race will have only two 45-minute practice sessions at 10:05 a.m. and 1 p.m. on Friday before they qualify at 3:25 p.m. Fans will get to meet the drivers during the fan walk on the false grid from 8:30 a.m. to 9:30 a.m. on Saturday, and the 2-hour-and-30-minute race starts at 10 a.m.
Live video streaming and live timing and scoring will be available on imsa.com and imsa.tv. The television broadcast will be on FOX Sports 1 on a tape-delayed basis on Sunday, July 31 at 12 p.m. All times are EDT. Tell us about your history at Lime Rock, and what you think of the track. After a smaller field at Mosport, this weekend you’ll be on just a 1.5-mile track with 34 other drivers. How much do you think traffic will play into the race outcome? You won the pole at the last race. How much does winning a pole get you pumped up for the race? What is it going to take to capture the ST championship? Have you done any iRacing or other simulators with the Lime Rock circuit? If so, how does that help you learn a new circuit? Lime Rock is said to be like an oval with a chicane. 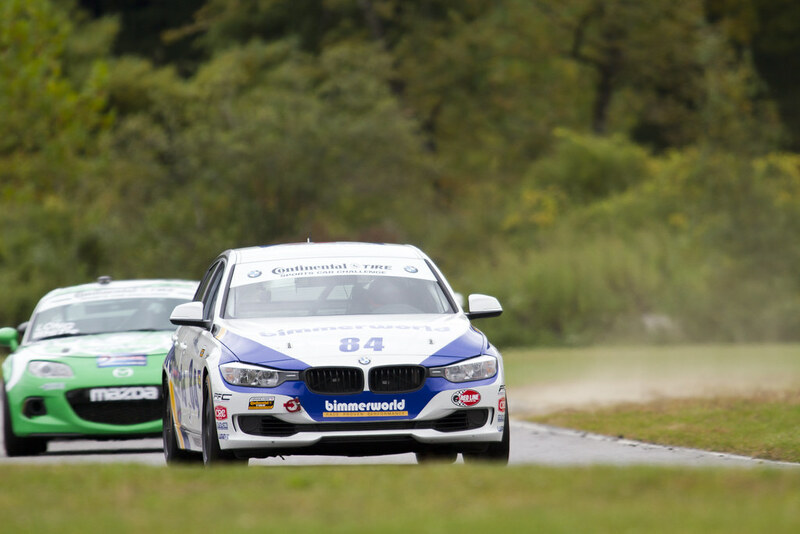 How well suited do you feel the BMW 328i (F30) is for the short Lime Rock circuit? The Continental Tire Series built its reputation as a series where a variety of manufacturers and models can race with a realistic shot at winning. After three consecutive rounds where the smallest, lightest car in the Street Tuner class has dominated the proceedings, scoring three straight 1-2-3 finishes, the rest of the teams participating in the ST, including BimmerWorld, find themselves waiting for the scales of opportunity to be balanced in a more inclusionary manner. 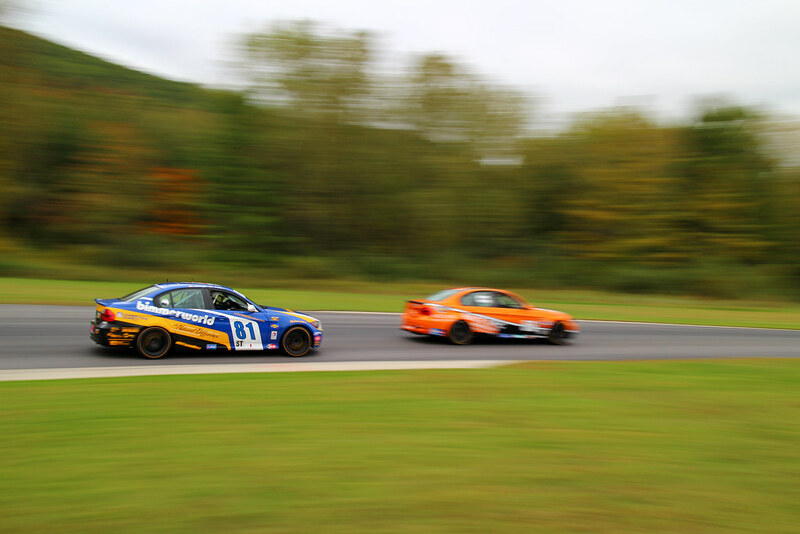 The most recent event, held over a wet and dry Memorial Day Weekend at Lime Rock Park in Connecticut, saw BimmerWorld dueling once again for “Best in Class” among the normal-sized ST cars as the tiny MX-5s used their lack of weight to fill the podium. 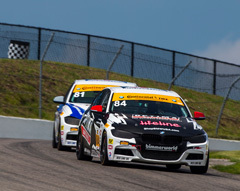 Left to fight over fourth place and lower, the Virginia-based BMW aftermarket and tuning experts secured a fine fifth, ninth and 12th in ST, while its fourth entry finished down the running order after being struck and damaged by two cars on the opening lap. 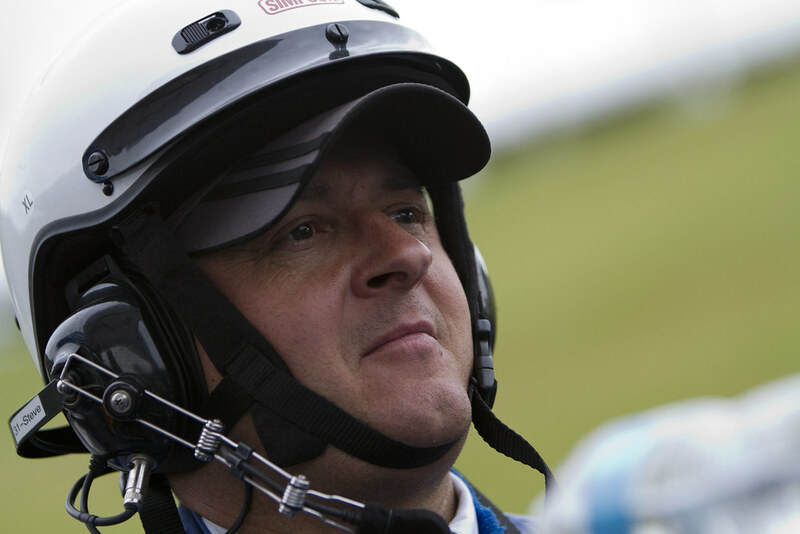 “It is a fairly frustrating period for us all,” said BimmerWorld owner/driver James Clay. 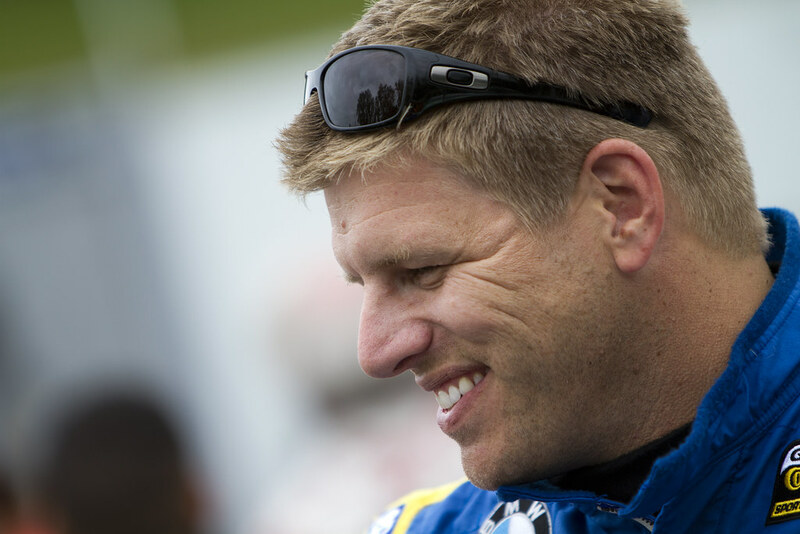 “We have the best driver lineup we have ever had on the team, across all four cars. 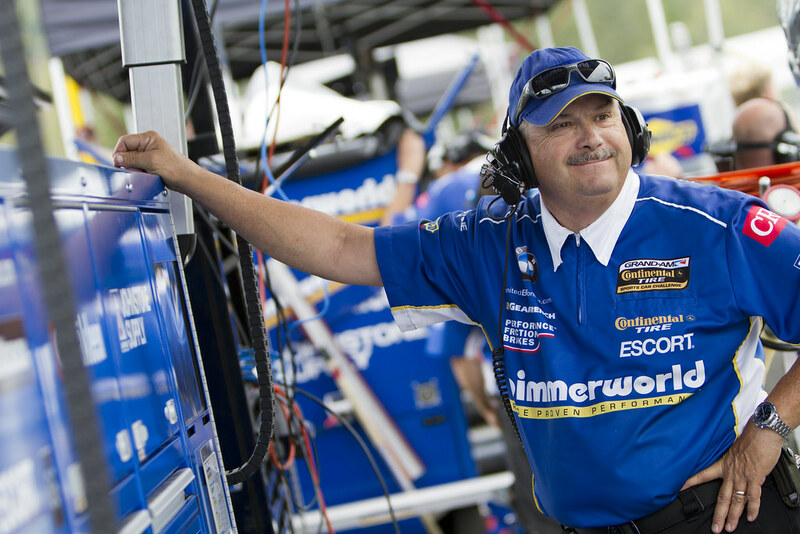 We have a well-seasoned team, solid proven equipment, and new partners that help us continue to advance the cars we put on track. And while we execute very well on all fronts and can pull decent finishes by the skin of our teeth, we just can’t touch the cars that are 500 pounds lighter. Top finisher for BimmerWorld went to team veteran Seth Thomas and ST newcomer James Colborn in the No. 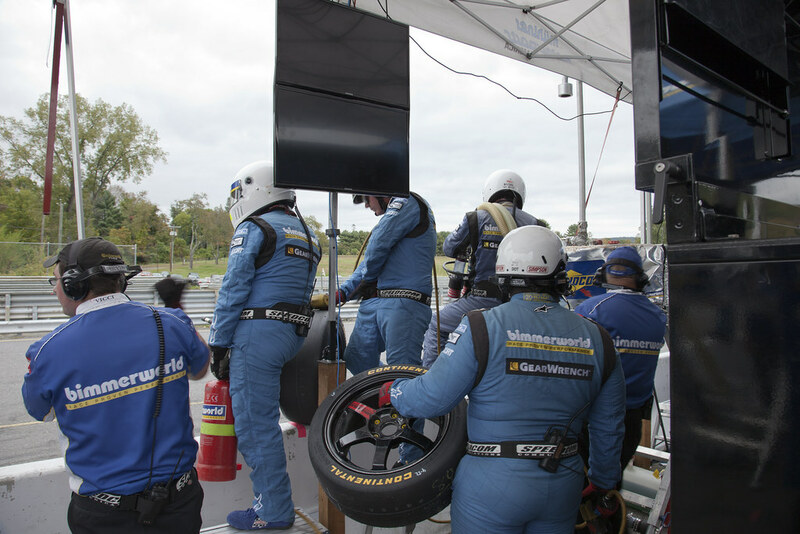 82 CRC BRAKLEEN® BMW, and Thomas credited his pit crew and engineer for flawless execution to get the E90-based 328i into the tick of the fight. Clay and co-driver Jason Briedis recorded the most competitive outing for the team’s new turbocharged F30-based BMW 328i, placing 12th at the finish. 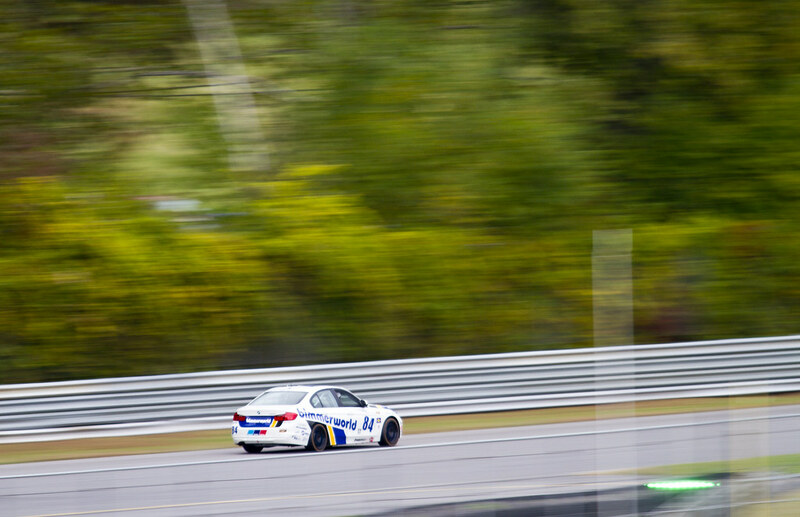 With the entire project being developed in-house by BimmerWorld, the team continues to make great strides with the first-of-its-kind F30 race car in North America. 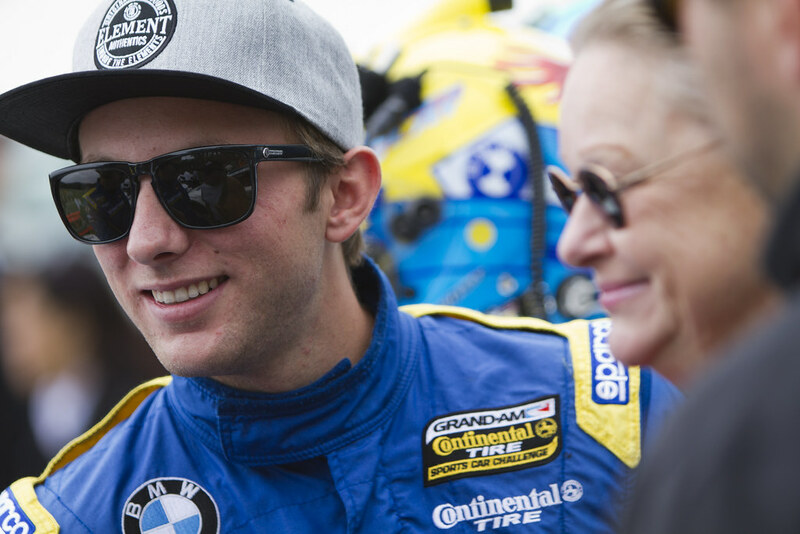 UP NEXT FOR BIMMERWORLD: The Continental Tire Series event at Kansas Speedway on June 6-7. 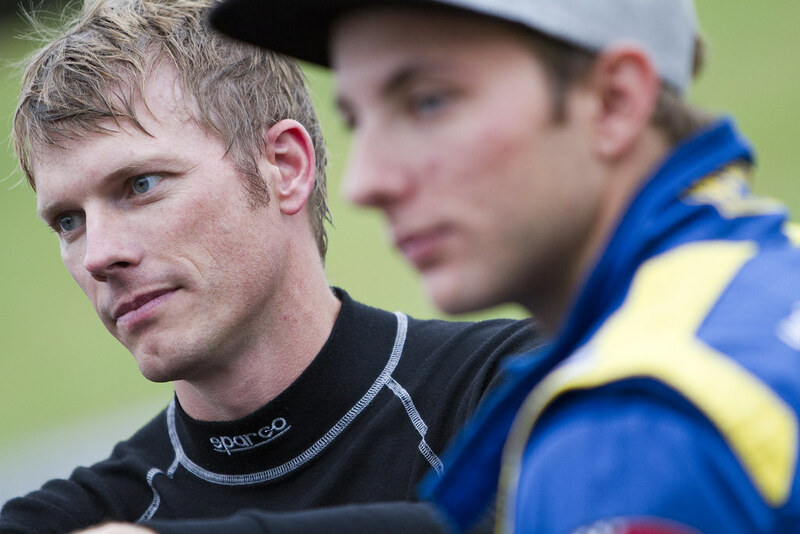 Dan Rogers, who missed Lime Rock due to family commitments, will be back in the No. 82, and Corey Fergus will have a new teammate to share the No. 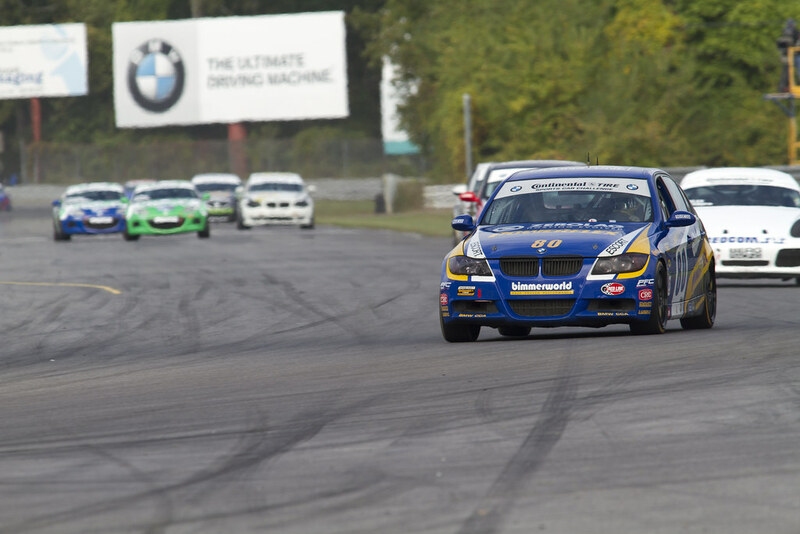 80 in the run to the season finale at Road Atlanta in October. 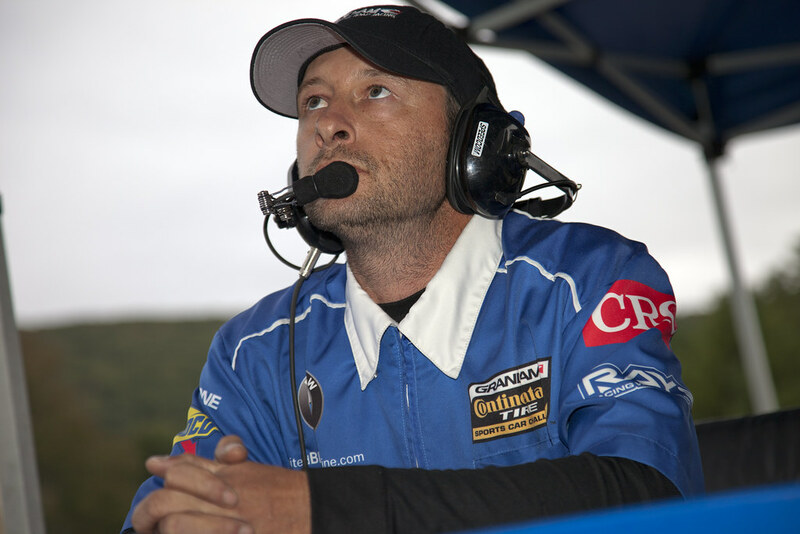 Corey Fergus: I wish IMSA would let us qualify in the rain. Starting based on championship points puts a lot of drivers around each other with varying talent. The end result is what happened to us on the first lap. I got drilled from behind which caused me to hit a couple cars. This damage probably resulted in a loss of power steering and broken sway bar and a 24th place finish. It’s especially disappointing because we had such a fast pit stop and a strong car. I know my teammate Kevin Gleason would have done a great job. 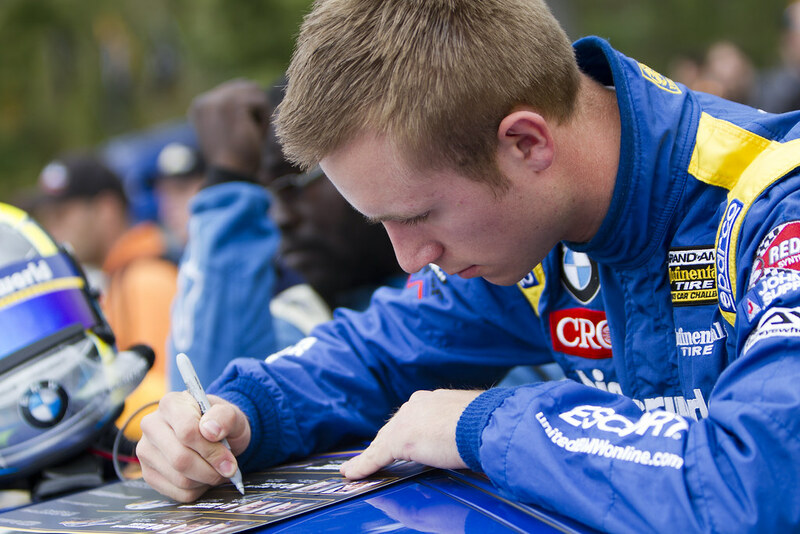 We work well together and I’ll miss him as a co-driver. 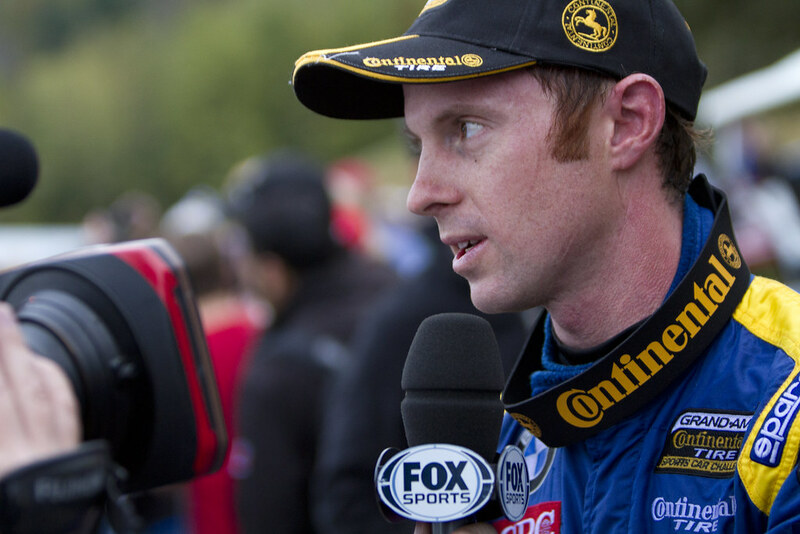 Greg Liefooghe: Our car ran into some issues affecting the handling, and around this track it takes a toll on you. It felt like I drove the 24 Hours of Lime Rock! Dave, our engineer, guided me through how much fuel I needed to save at the end of the race, and he was the reason why we managed to finish without refueling and were able to hold on to a top 10-finish, allowing us to keep second place in the championship. 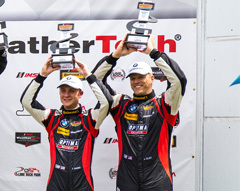 James Colborn: Racing with Seth and the entire BimmerWorld team was a great experience and I can’t wait to get another chance to do it again. Jason Briedis: Like James mentioned, it was nice to get a decent finish after a few tough weekends. I am starting to get more comfortable with the F30 and hopefully can continue to improve. With the limited practice and rain we didn’t quite get the car where we would have liked for the race, but all in all our pace was good. 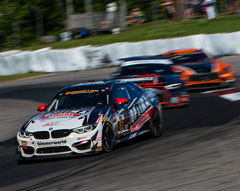 The BMW aftermarket and tuning experts at BimmerWorld needed something close to a vehicular miracle at last weekend’s GRAND-AM season finale in Connecticut. With the No. 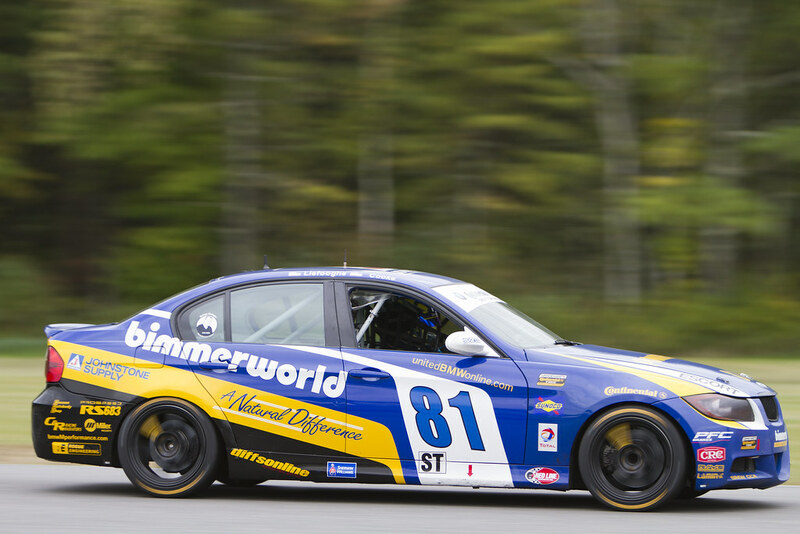 81 BimmerWorld BMW 328i duo of Gregory Liefooghe and Tyler Cooke holding third in the Continental Tire Series Street Tuner standings, and the No. 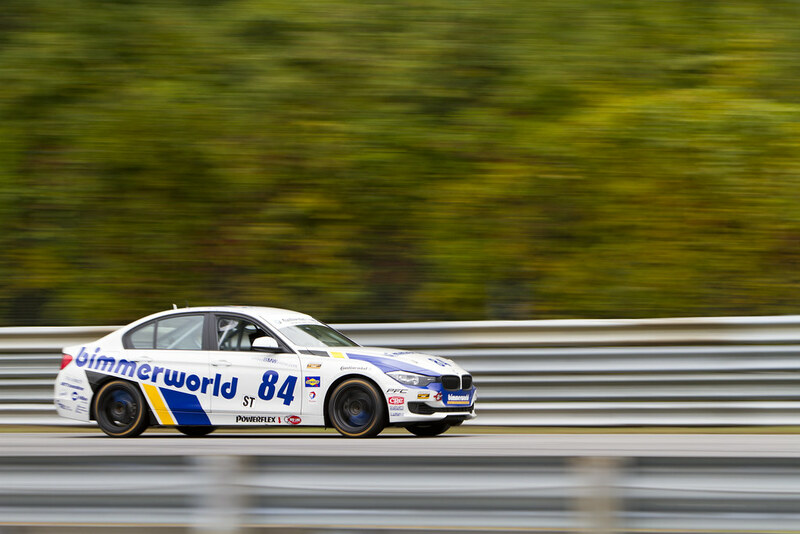 82 CRC BRAKLEEN® BimmerWorld BMW 328i of Seth Thomas and Dan Rogers holding fourth in the Championship, finishing 1-2 in the race at Lime Rock was only half of what would be needed to secure the team’s first ST title. The significant points lead held by the first-place team meant they would need to finish well down the running order to give BimmerWorld’s No. 81 and 82 a chance to bridge the Championship gap, but if the leaders maintained a decent position inside the top-10, which is what took place, winning wouldn’t be enough to overcome the deficit. 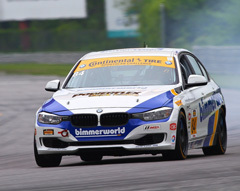 Another strong run by BimmerWorld is what the record books will show at Lime Rock, and with Liefooghe and Cooke taking third in the Drivers’ Championship, BimmerWorld has demonstrated its consistency and strength in the series by placing its drivers second, third, fourth and fifth in the ST Championship since 2010. 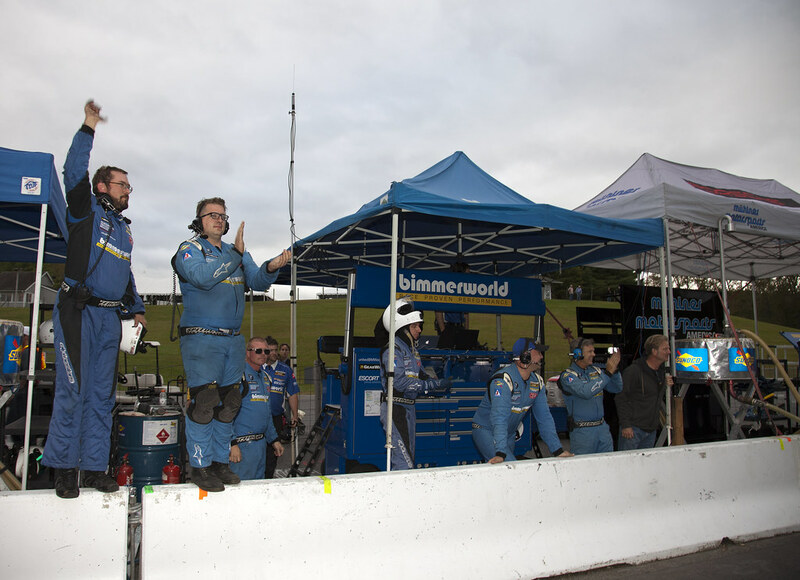 Team owner/driver James Clay was obviously hoping for all of the planets to align in BimmerWorld’s favor, but with such a competitive series, he wasn’t surprised with the Championship outcome. Clay also spoke to the disappointment felt by Rogers and Thomas, who entered Lime Rock fourth in the Drivers’ standings. “Unfortunately Seth and Dan in the No. 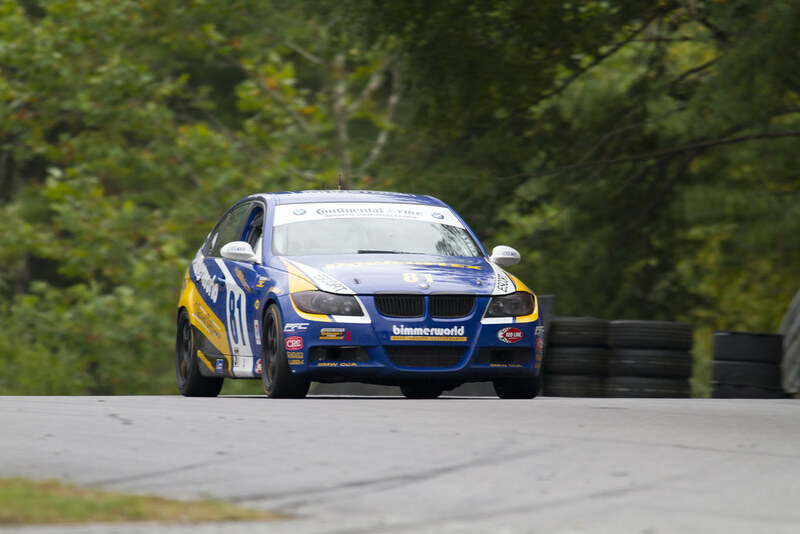 82 CRC BRAKLEEN® BimmerWorld BMW 328i ran into problems on track, but with the limited space and minimal passing opportunities at Lime Rock, this was an unfortunate, but not altogether unexpected casualty,” he continued. “The push by the No. 81 at the end of the season to win the Championship fell slightly short, but a third-place season finish for them is still strong. With the No. 81 and No. 82 taking third and sixth in the Driver’s Championship, respectively, BimmerWorld also earned third and sixth in the Teams’ Championship. BimmerWorld’s three-car fleet of BMW 328is also played a significant role in delivering the Manufacturers’ Championship to the German brand for the second consecutive season. 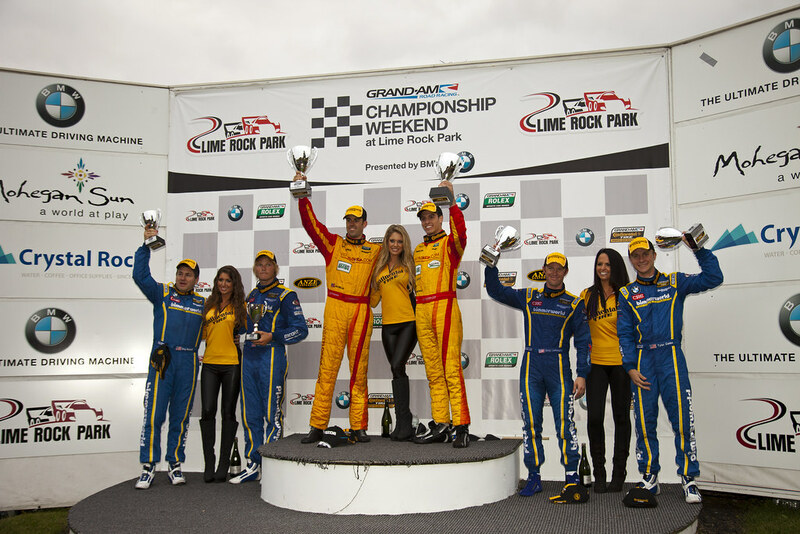 For Liefooghe and Cooke, leading Lime Rock and finishing second in the No. 81 was bittersweet, but with a win to their credit at Elkhart Lake, it also cemented the duo as champions in the making. “Going into the weekend we wanted to make sure we would do our best with the elements we can control and I think we were successful in that regard,” said Liefooghe. “The fact that we missed the win by a small margin was a bit frustrating, especially since it would have given us a second place in the Championship, but the main goal of the season was to be a championship contender going into the last race, and that goal was reached. 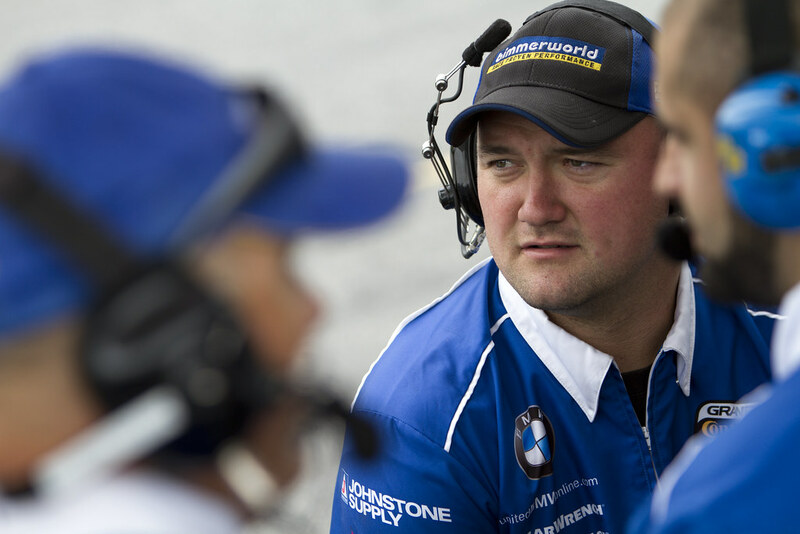 Cooke, who completed his first season with BimmerWorld and second in the ST championship, developed into a consistent threat alongside his veteran teammate. With the No. 80 of Strelzoff and Bloum completing the Lime Rock podium, BimmerWorld’s newest driving combo captured their third top-3 of the season. 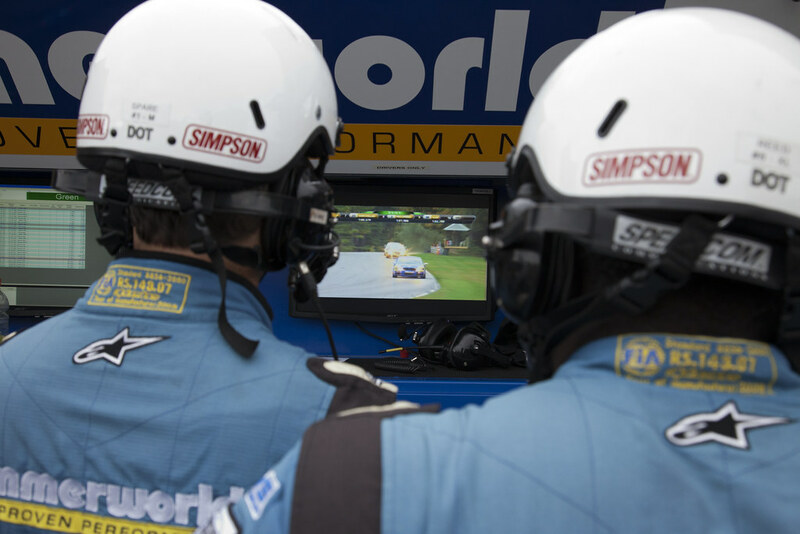 Ending the 2013 season with a 26th place run at Lime Rock isn’t what Rogers and Thomas had in mind, but the two dealt with the dissatisfaction with class. 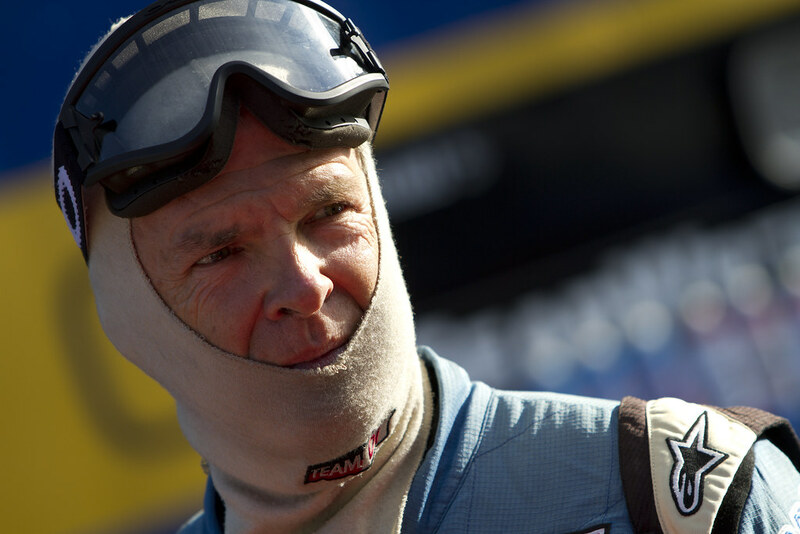 “The race was an extremely disappointing and frustrating way to end what was otherwise a great season,” said Rogers. “No. 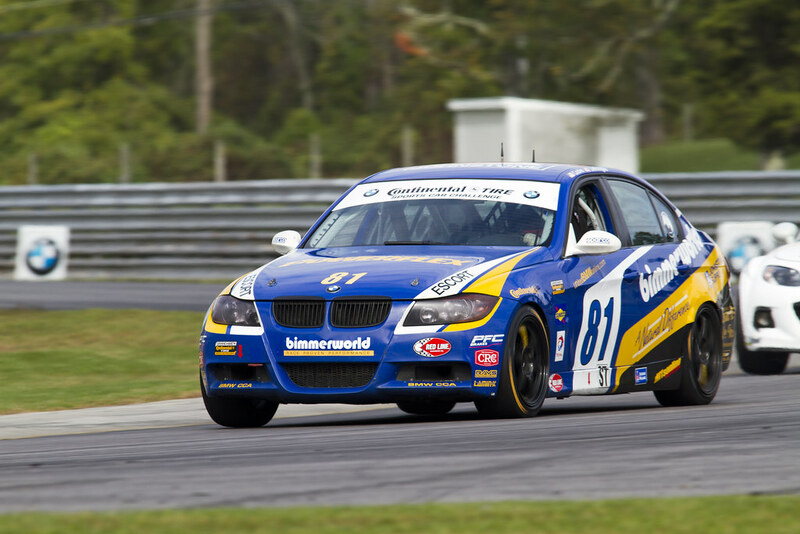 82 CRC BRAKLEEN® BimmerWorld BMW 328i was in the hunt for the championship from the beginning of the season, and the last two races, particularly Lime Rock, were extremely frustrating. We all do what we do in the car because we are driven to win. When we don’t achieve that goal, it hurts. Thomas echoed his teammate’s assessment of the season and their future together. 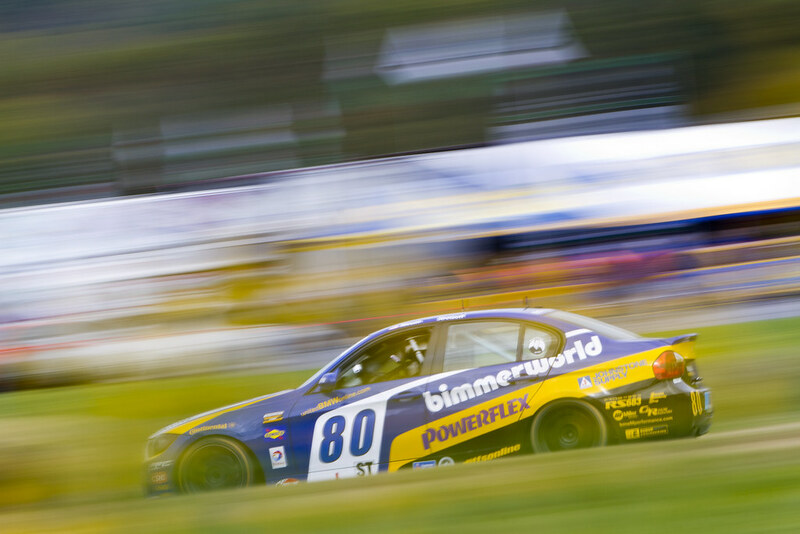 The late-season development run for BimmerWorld’s new BMW F30 chassis netted an impressive 10th-place finish at Lime Rock which has Clay feeling confident about the turbo 3-Series chassis. Clay’s teammate for the F30’s development, John Capestro-Dubets, is also looking forward to 2014 with the new chassis tuning capabilities he’s gained. 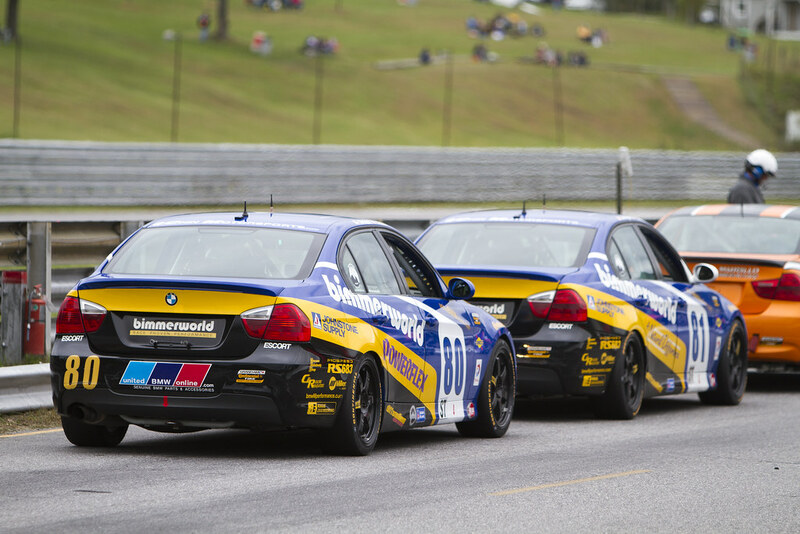 BimmerWorld will have little time to rest with the start of the 2014 Championship right around the corner in January. 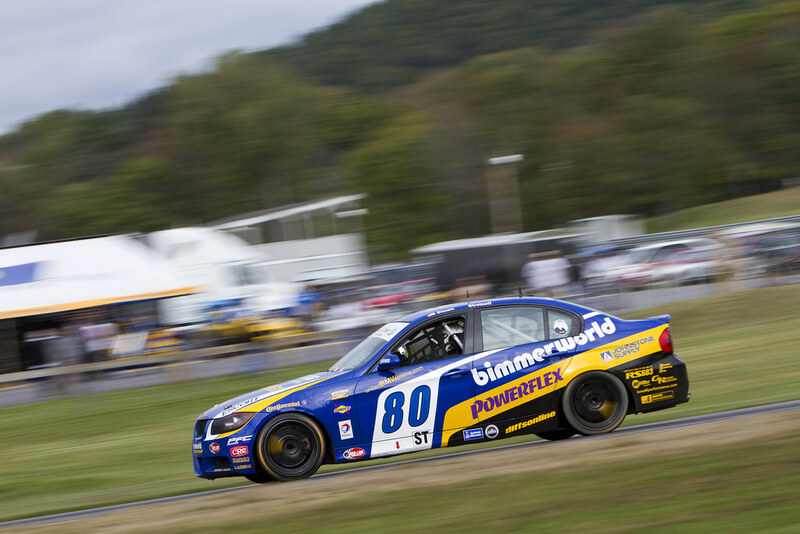 Follow all of the team’s off-season developments at www.BimmerWorldRacing.com and tune into the Lime Rock race when it airs on October 6th at 3 p.m. ET on Fox Sports 1. 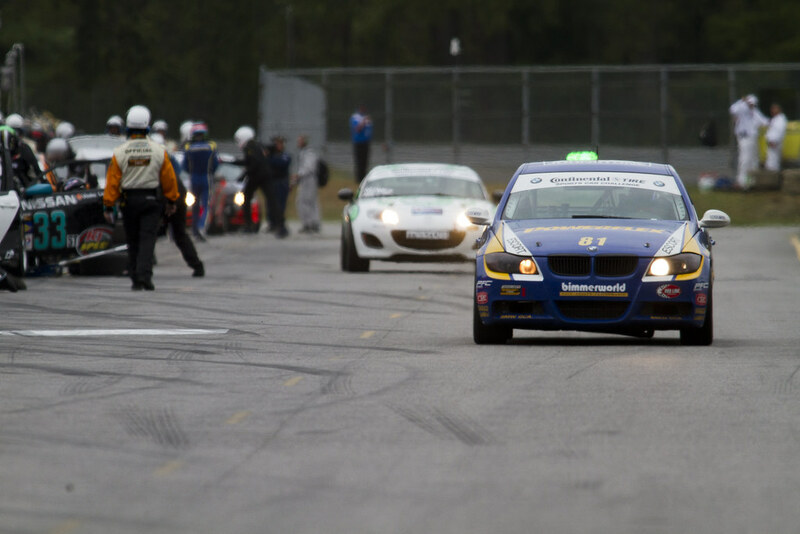 In the wild and unpredictable GRAND-AM Continental Tire Series Street Tuner division, nothing comes easy. 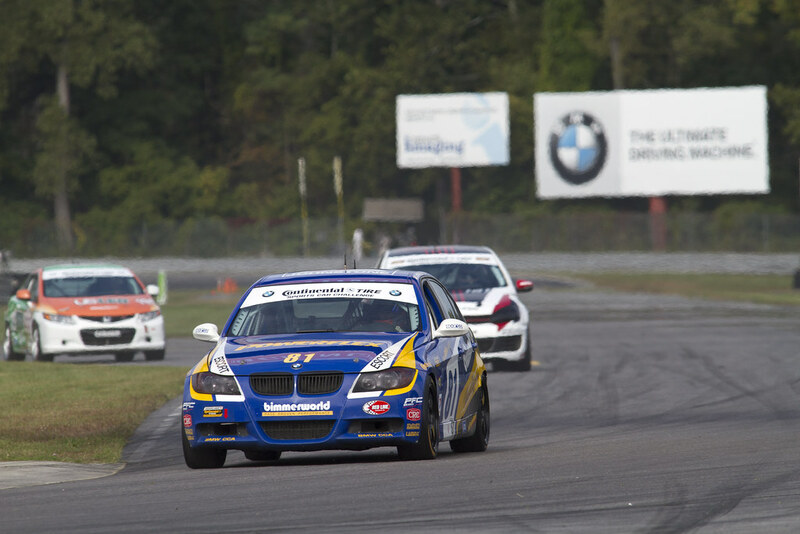 With two of its three cars in contention for the 2013 ST Championship, the veteran BimmerWorld Racing team heads to Connecticut’s Lime Rock Park this weekend for a season finale that, based on recent experience, could be another roll of the dice to determine which team comes out on top. 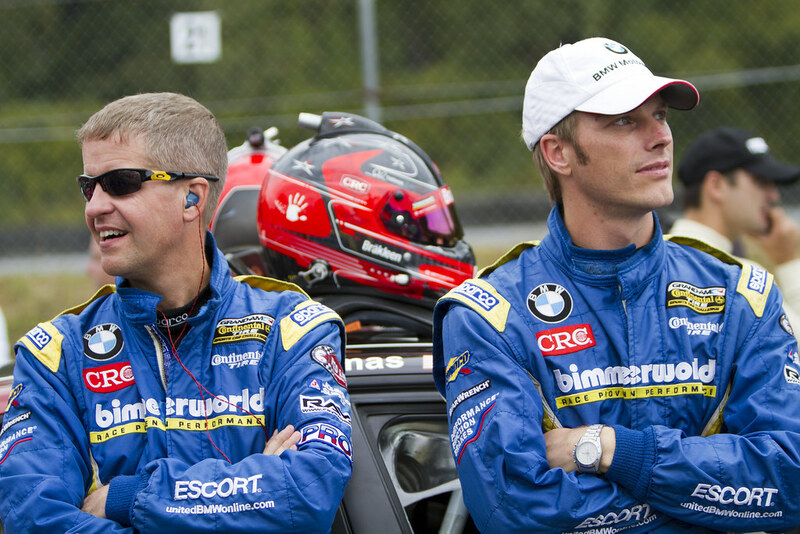 BimmerWorld’s Gregory Liefooghe and Tyler Cooke, who share the No. 81 BMW 328i, sit third in the ST standings and have every intention of reducing the 18-point gap to the Championship leaders. But with GRAND-AM’s restrictive points system, it will take a drive of epic proportions by the No. 81 (and some misfortune for the drivers in first and second place) to happen. The same is true for Seth Thomas and Dan Rogers, drivers of the No. 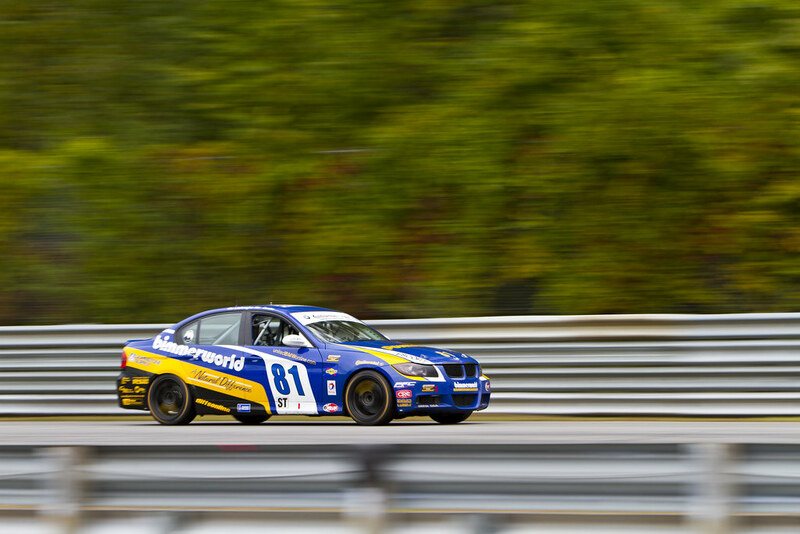 82 CRC BRAKLEEN® BimmerWorld BMW 328i, who are tied for fourth in the standings. They will give everything they have to leapfrog the competition, but once again, it won’t be easy because that’s just not how the ST class works. 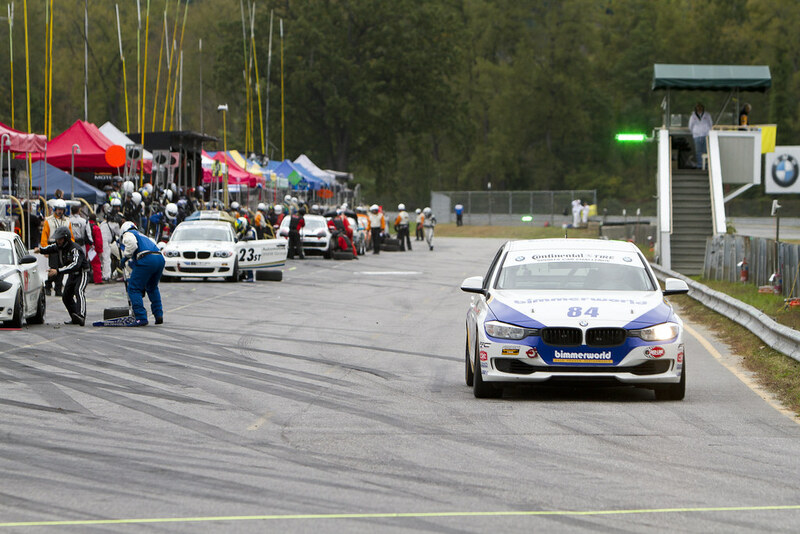 BimmerWorld also holds third and is tied for fourth in the Teams’ Championship, and has been a heavy contributor to BMW’s move into the lead for the Manufacturers’ Championship. 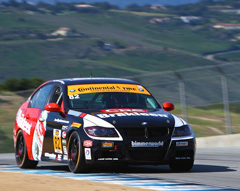 Along with the third BMW 328i entry for Greg Strelzoff and Connor Bloum in the No. 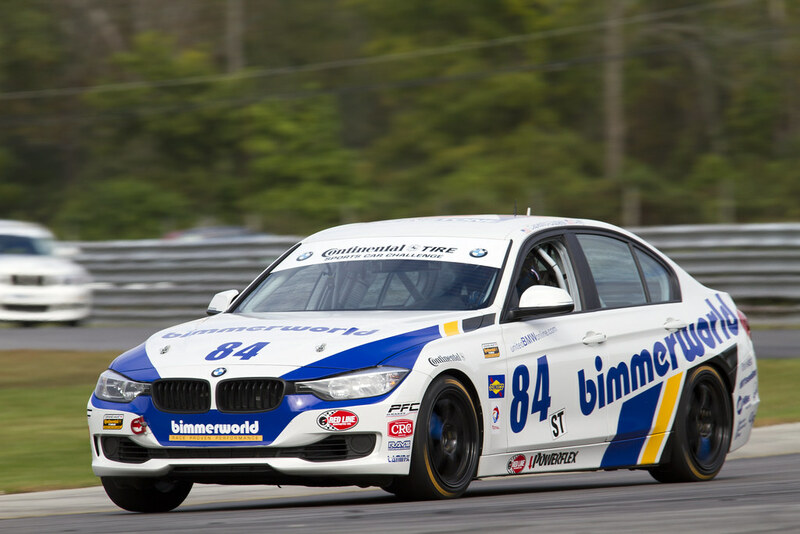 80, the Lime Rock finale also presents BimmerWorld with the final in-race opportunity to develop its brand-new BMW F30 chassis it intends to campaign next season. Asked if there were any special instructions or strategies to try and move the No. 81 and 82 into a title-winning position, team owner/driver James Clay says having each entry focused on maximizing its potential—the team’s standard practice—will ensure the best possible results. Lime Rock’s short, twisty circuit doesn’t necessarily amplify the BimmerWorld BMW’s natural handling and braking advantages, but also won’t act as a hindrance as some tracks have done this season. 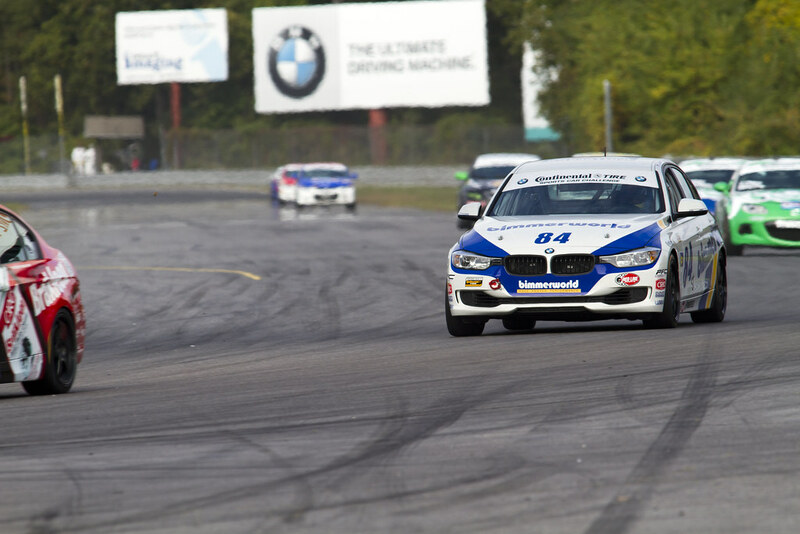 With so much of the team’s focus on completing the ST championship, the progress of BimmerWorld’s F30 platform has been intentionally under reported, but Clay says the lighter, turbocharged 3-Series model is making strides with each outing. The last race of the season is also a place where many new driver and team combinations begin to take shape, and with BimmerWorld’s reputation for consistency from year to year, Clay expects a limited number of changes to the team’s ST roster in 2014. 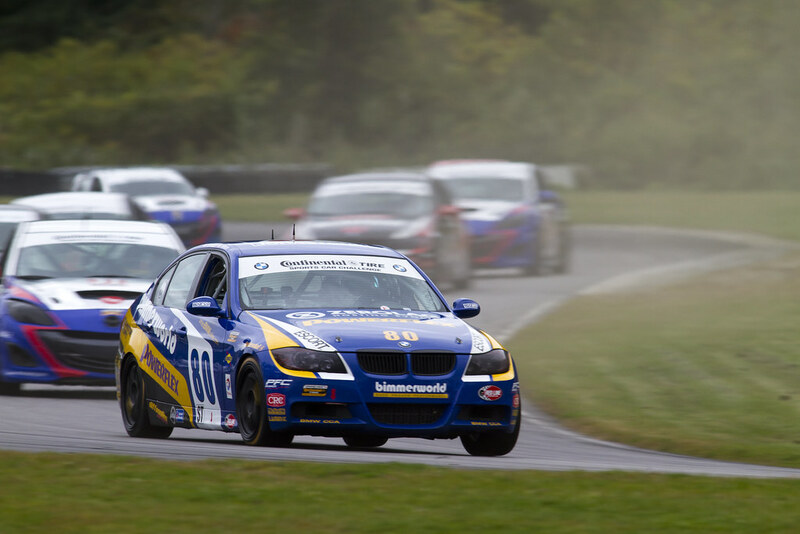 The road racing veterans at Virginia-based BimmerWorld Racing closed out their 10-race GRAND-AM Continental Tire Series championship in style last weekend at Lime Rock, achieving a comprehensive set of goals established heading into the event. With his trio of BMW 328is serving as some of the fastest and most consistent cars in GRAND-AM’s Street Tuner class, Clay’s team entered Lime Rock with all of his drivers and cars inside the top 10 in their respective championships—an impressive feat in the hotly contested category. Moving BimmerWorld as a whole further up in the Drivers’ and Teams’ Championships was of great importance to everyone involved with the program, but the greatest challenge would come in the fight to earn the 2012 Manufacturers’ Championship for BMW. Rival manufacturers Mazda and Honda flooded the ST class with cars at Lime Rock to improve their odds of wresting the title away from BMW, but even with the numbers tipped in favor of the Japanese marques, the sixth-place finish by Clay and teammate John Capestro-Dubets in the No. 80 BimmerWorld BMW earned enough points to deliver the Manufacturers’ crown to the BMW brand BimmerWorld also supports through aftermarket sales and tuning. After landing on the podium in seven out of the first nine races, the only thing lacking from BimmerWorld’s run at the rainy season finale was an eighth podium visit, but looking back at the overall championship, Clay closed the books on 2012 with plenty to be happy about. The combination of pro driver Clay and sophomore understudy Capestro-Dubets flourished this season in ST, with the duo scoring three podiums and six consecutive top 6 finishes to round out the championship. And with Clay handing over the duties of finishing each race to Capestro-Dubets, the promising Californian more than proved his mettle under pressure. 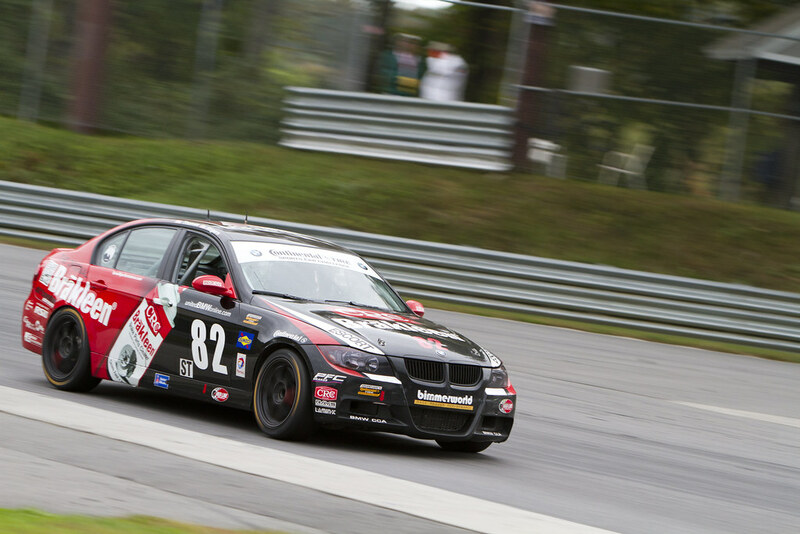 For “JCD,” Lime Rock was a perfect bookend to his breakout season with BimmerWorld in the No. 80 where he and Clay took fifth in the final standings. The No. 81 duo of Round 2 race winners Gregory Liefooghe and David Levine had a race to forget, ending the season with a damaged car after taking a major hit by an entry that had several additional altercations in the challenging conditions. As one of the fastest driver pairings in ST, the tandem was extremely effective in 2012, but hoped for more from the final race. “When taking a step back to look at the 2012 season I think we can be happy of all the achievements we have accomplished,” said the respected Liefooghe, who crossed the finish line in 15th.“A driver needs to be surrounded by a great team, have a fast car, put down strong drives, and have a good amount of luck to win a championship in a series as competitive as this. As far as I’m concerned, we have checked all boxes except for the one that we cannot control: luck. Levine, who made his pro racing debut this year with BimmerWorld, echoed his teammates’ feelings on the race and the season. 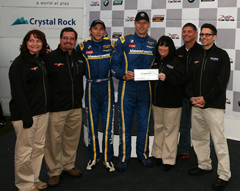 With their win at Barber Motorsports Park and two other podium trips, the Liefooghe and Levine partnership claimed sixth in the Drivers’ Championship. The No. 82 CRC BRAKLEEN® BMW 328i piloted by Seth Thomas and Dan Rogers pulled off BimmerWorld’s greatest triumph of 2012, leading home a 1-2 finish in wet-dry conditions at the first-ever GRAND-AM race at the famed Indianapolis Motor Speedway, but the mojo didn’t carry over to Lime Rock. An early spin dropped the car down a lap, and with poor visibility making a comeback drive even more challenging, Thomas and the team worked miracles to claw their way back to 14th at the finish. “We were close to getting the lap back thanks to great strategy by Wayne Yawn and the fastest pit stop of the year by the crew,” said Thomas. “We were able to run with top 10 cars and were making a little bit of ground on them during the race, I think we nailed the rain setup on the No. 82 CRC BRAKLEEN® BMW as it was very easy to drive at the limit in the most severe conditions we have seen this season. 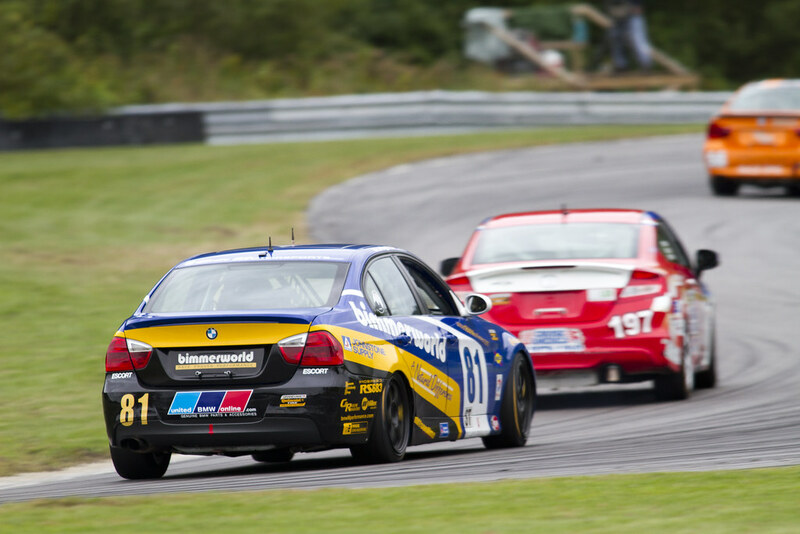 Despite the tough day at Lime Rock, Thomas and Rogers held onto 10th in the Drivers’ Championship. 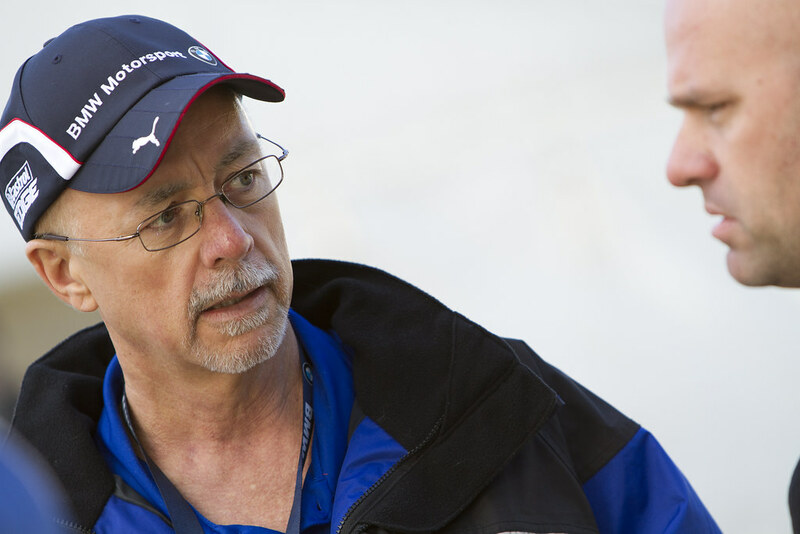 Reviewing BimmerWorld’s accomplishments this season, Clay was encouraged by what his team of BMW experts achieved and has clear plans on how to take the next step forward with the premier ST program in 2013. “Our 2012 season was excellent as a team in many ways,” he said. “Our approach of running all three of our cars as true Championship efforts with equal equipment and opportunities undoubtedly proved to be a solid strategy, placing all three cars and driver pairings in the top 10 for the Team and Driver Championships. And clinching the Manufacturers’ title for BMW with all three of our cars contributing to the points our BimmerWorld team scored in 9 of 10 races this year is a strong statement. 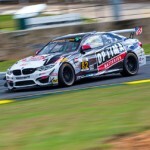 Of the 46 entries that have competed in the 2012 GRAND-AM Continental Tire Series Street Tuner division, Dublin, Virginia’s BimmerWorld Racing has stood out as the strongest closers in the series heading into this weekend’s season finale. With its trio of BMW 328is claiming podium finishes in the last five races, including an historic win and 1-2 finish at Indianapolis Motor Speedway, momentum has certainly fallen in favor of the BMW aftermarket and tuning specialists. A tough start to the season made capturing the Drivers’ and Teams’ championships a tall order, but it hasn’t prevented the front-running program from moving BMW to the top of the Manufacturers’ standings. 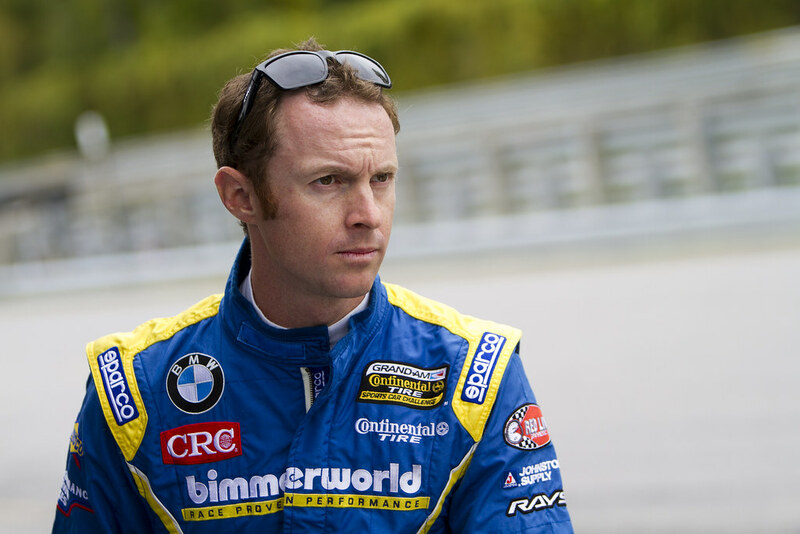 Relying on his team’s strength and resilience, BimmerWorld owner/driver James Clay has his outfit focused on solid results at the tiny Lime Rock road course as it looks to lock up the title for BMW, and to move its three driver pairings and Team entries deeper inside the top 10. 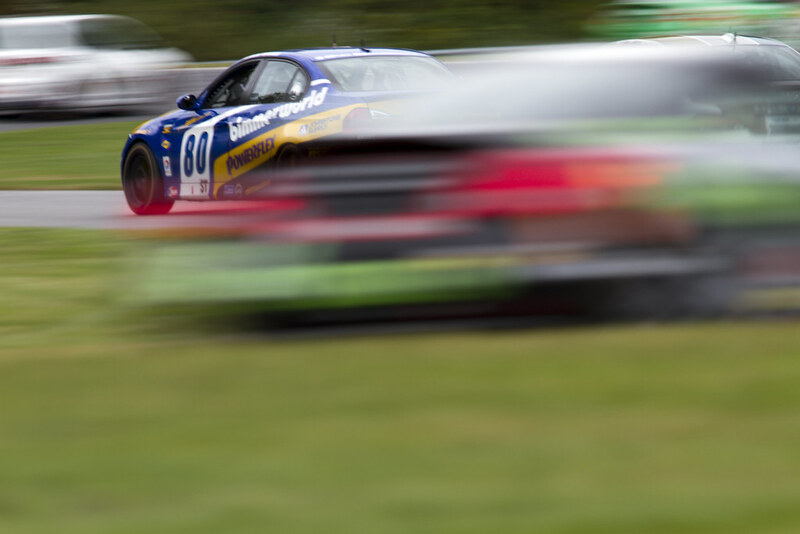 GRAND-AM has separated the Grand Sport and Street Tuner classes at the Connecticut-based circuit, holding separate races for both categories. This move, due mostly to the problems of trying to fit as many as 60 cars on the short 1.5-mile track, should help BimmerWorld to avoid some of the on-track impacts that soured the early portion of the ten-race calendar. “The split races at Lime Rock will not only help the contact problem by reducing cars on track, but it will also gather the speeds a little closer together without the GS cars in our field, which in a little bull ring like this, and on the last weekend of the season, is extremely important,” said Clay, who shares the No. 80 BimmerWorld 328i with John Capestro-Dubets. 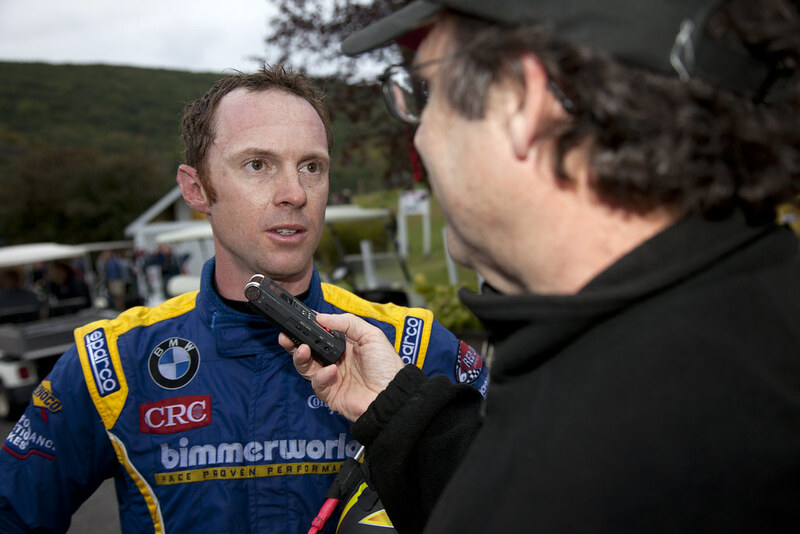 BimmerWorld’s Gregory Liefooghe, who leads the No. 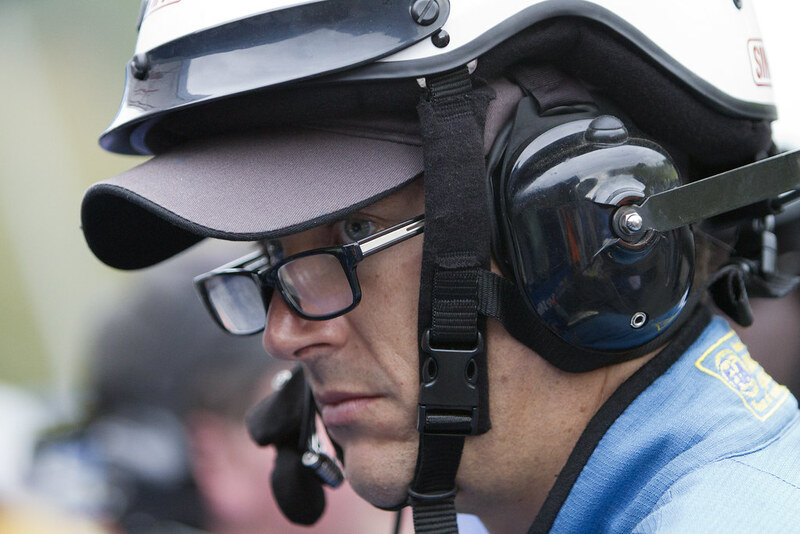 81 program with rookie driver David Levine, brings a wealth of chassis setup experience to the team and offered a few insights on whether Lime Rock requires a perfect-handling car, or if a driver can make up for any deficiencies through extra effort. 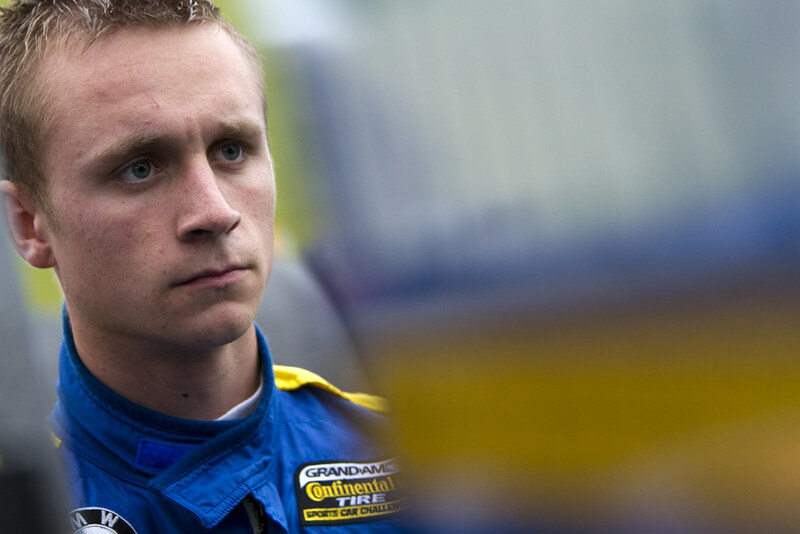 With a reasonable chance of cracking the top five in the final Drivers’ Championship standings, Liefooghe is hoping to capitalize on the momentum that has delivered three podiums and a win for him and Levine in 2012. “I will be focusing on getting on the podium to try to move up the Drivers’ Championship, cap off a strong season with David, and finish on a high note to enter next year with some momentum and extra confidence,” he said. As one half of the winning duo at Indianapolis, Dan Rogers has targeted moving to the front with co-driver Seth Thomas in the No. 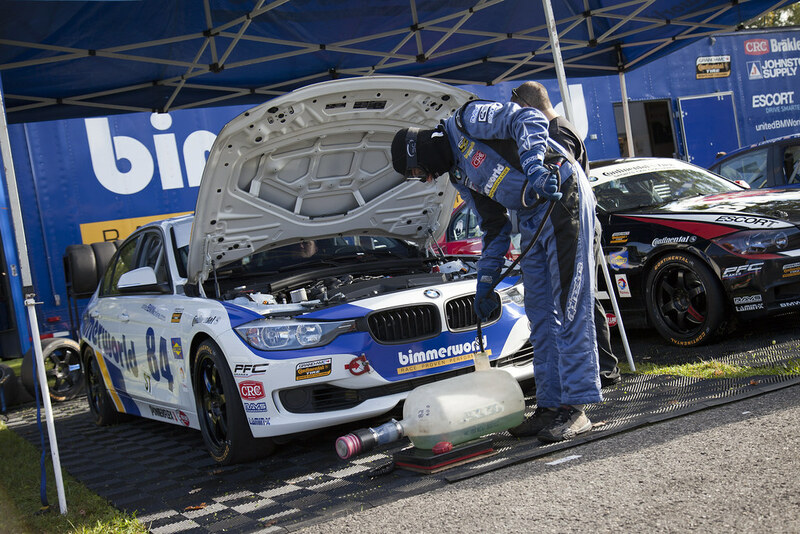 82 CRC BRAKLEEN® entry to help BMW claim the Manufacturers’ title at its home track. Although Lime Rock will close the chapter on the 2012 season for BimmerWorld, Clay has also been hard at work on the team’s Street Tuner plans for 2013. 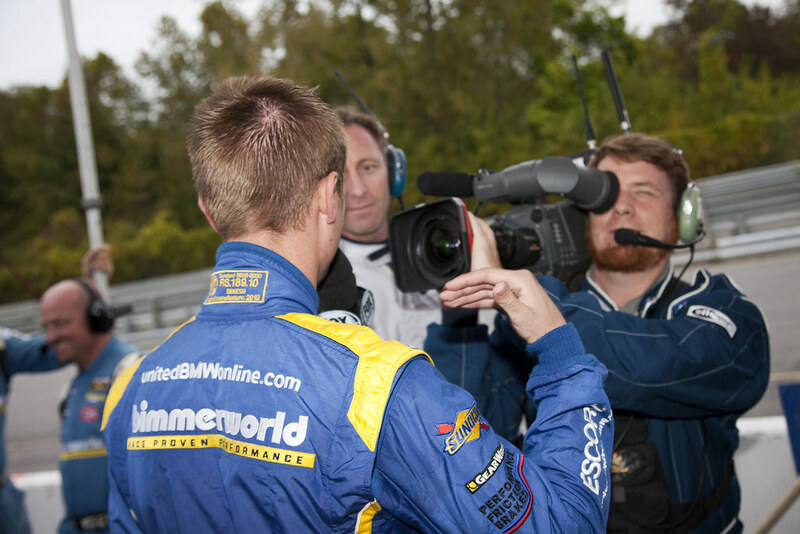 Follow the BimmerWorld team atwww.BimmerWorldRacing.com and be sure to watch the Lime Rock race when it airs on SPEED, October 14th at 1:00 p.m. ET.